What started out as another Pagenaud pass-out worthy Penske parade suddenly turned into an interesting race in the second half. Frenchman Sebastien Bourdais won his thirty fifth IndyCar race Saturday – from thirteenth – his second in as many years at Detroit. 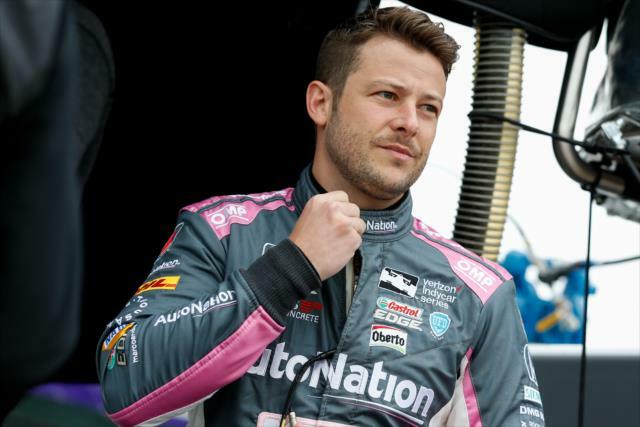 The start was anything but bumpy for pole sitter Pags, who checked out from the field. The first caution of the race came when – as we predicted – CGR’s rookie Max Chilton smacked the wall and exited the race. Apparently a suspension piece broke, as he swerved into the wall on a straightaway. The Englishman then proceeded to drop the F-bomb live on national television. That’s hot! Update: The gorgeous, talented and racy Courtney Force is still planning to marry IndyCar pilot Graham Rahal on November 21st, dammit. Jay Frye Sizzles: New IndyCar competition president Jay Frye is settling into his new office at Indianapolis Motor Speedway. While IRR couldn’t confirm the fact that Frye has been complaining loudly of “old man stink” after his predecessor Derrick Walker moved out, we couldn’t disconfirm it, either. After Saturday’s half assed half race, we feel IndyCar owes its fans at least another race this season, if not two. We’ve had a cancelled race and now two rain shortened ones and we’re just halfway through the schedule. 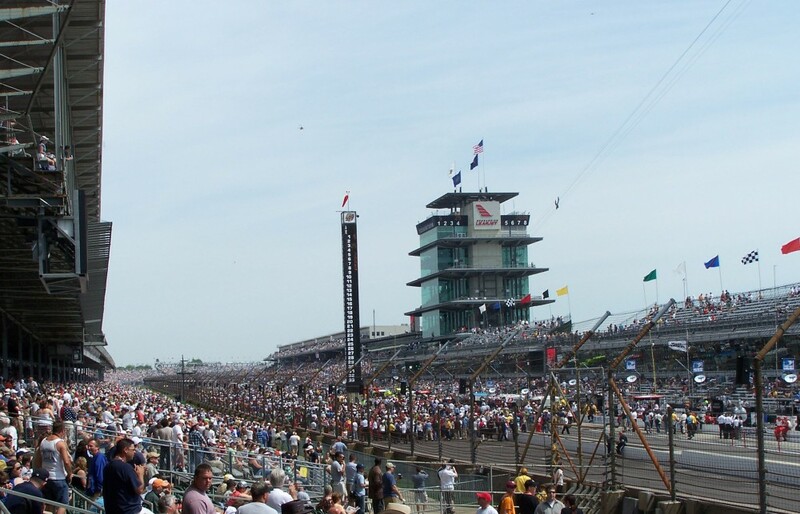 Of course the good folks at IMS can’t control the weather – yet – but it does point out how spoiled we’d all become during IndyCar’s years long stretch of good conditions for its races. 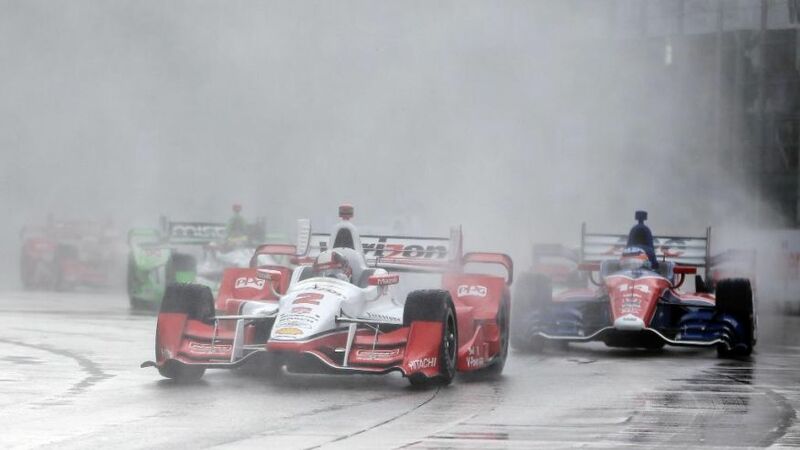 Due to the weather and IndyCar’s recent proclivity to fill up the first half of its tv window, there was no pre race show and cars were already rolling in the rain on ABC at 2:30 Central. 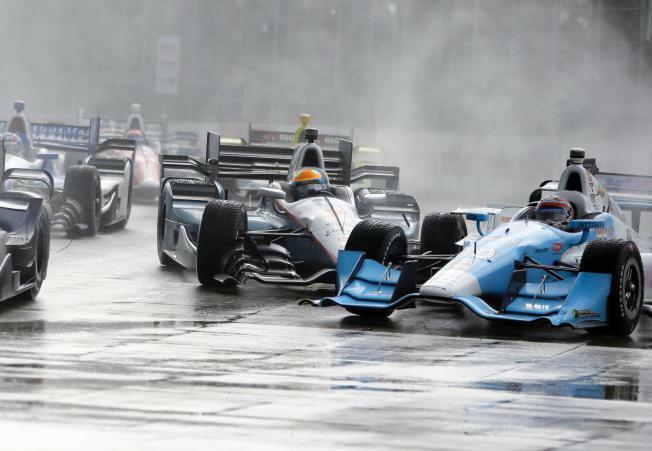 Downpours and debris marked Detroit’s first race of 2015 and had it been a complete race there may not have been many cars left to race on Sunday.